Lunges forward a short distance for a powerful claw strike dealing damage. Can lock onto nearby targets. Charges a burst of energy that deals damage to nearby enemies, and launches Mellka into the air. Unleashes a barrage of laced blades that envenomates targets and dealing damage with each hit. Enemies hit by Claw Lunge are slowed for a brief time. Spike leaves behind an area of effect that envenomates nearby enemies and deals damage-over-time. Mellka's off-hand melee attack propels her backwards. Claw Lunge launches a blade at the end of the lunge, dealing additional damage. 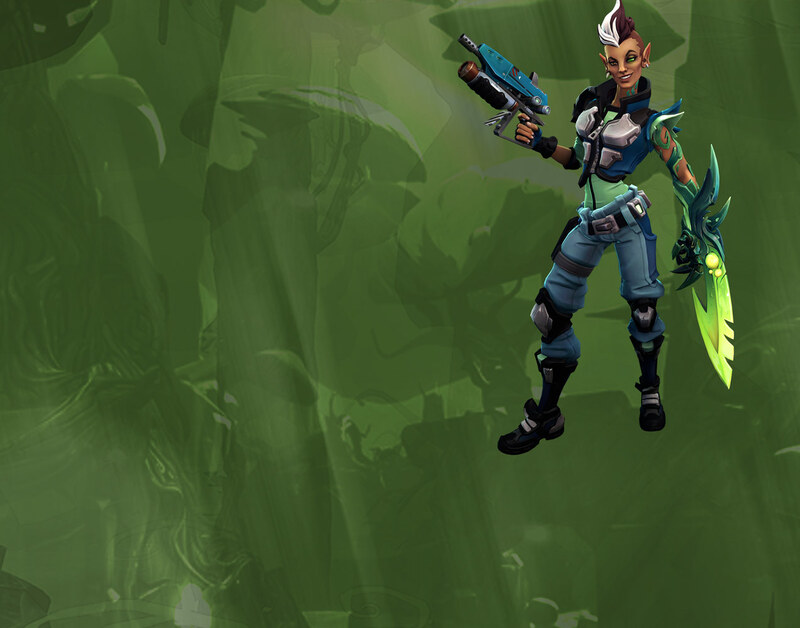 Meleeing enemies afflicted with venom increases Mellka’s health regeneration rate for a short time. 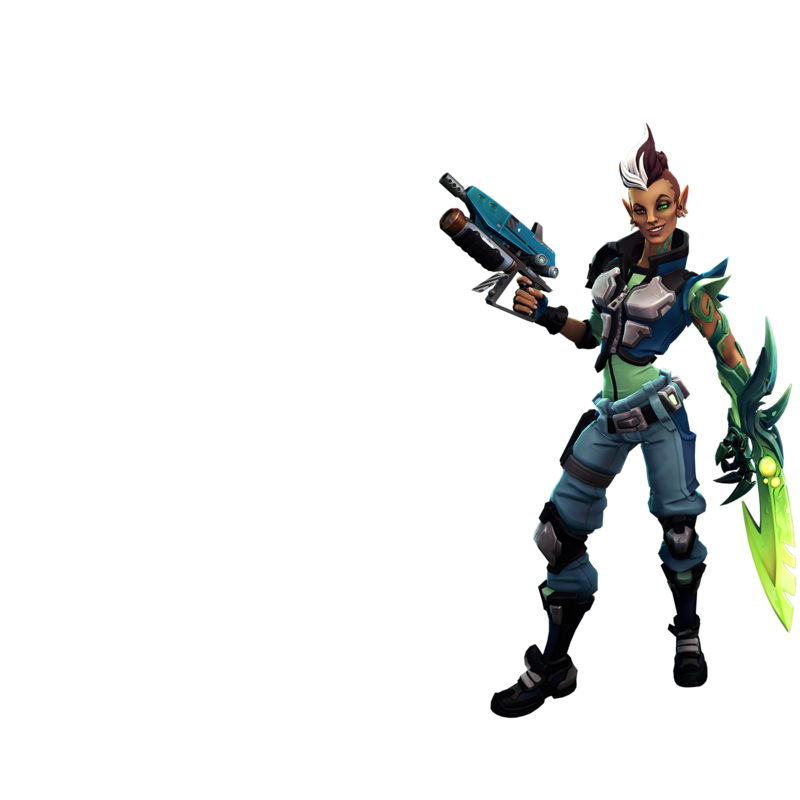 Mellka switches to a more deadly form of venom that increases her Spike damage. Increases Machine Pistol magazine size. Activating Claw Lunge increases Mellka’s melee attack speed for a short time. Enemies hit by Spike are slowed for a brief time. Killing an enemy afflicted with venom grants a stack of increased health (to a maximum of 10 stacks). Health stacks are reset upon death. Increases Claw Lunge dash distance. The cooldown for Spike is lowered by up to 40% based on Mellka's remaining health. When a new target is envenomated, Mellka's movement speed is increased for a short time. Claw Lunge deals increased damage. Blade Launcher fires a single, powerful shot, dealing heavy damage to one target.